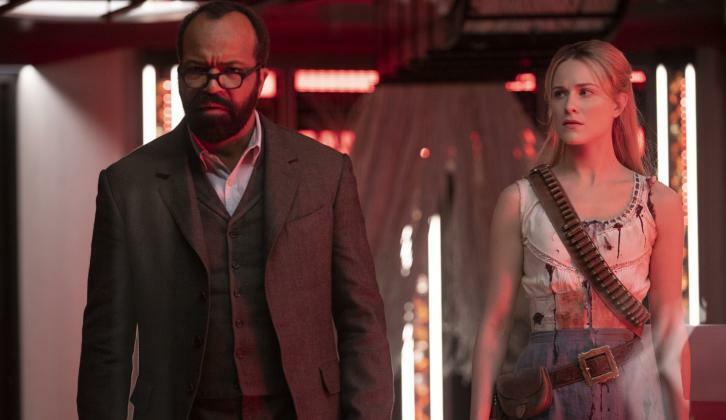 Below are a collection of interviews for the finale of Westworld's 2nd season, please clicks the links accordingly to read the complete analysis of all functions that made up the finale. JONATHAN NOLAN: We’ve had some interesting conversations. It’s a large ensemble cast and sadly we’re saying goodbye to some people at the end of this season. But as always with this show, who remains and who doesn’t is something we’re having a lot of fun with. There’s going to be a bit of a wait for a third season but we want to surprise and hopefully delight people with the way things progress. It's going to be a whole new world. And we technically have three [hosts], because Hale is out there, too, or someone who certainly looks like Tessa Thompson! We'll come to see who's really there and what that character is in the future. This series is about reinvention and scope. The first season was a more intimate look at the park from within the loops. In the second season, the hosts broke out of their loops and were able to explore more of the park. In the third season, they've broken out of the park itself. We're in a new terra incognita. From the beginning, when Jonah and I were thinking about the series as far back as the pilot, we knew we wanted to explore other worlds in the park, and we also knew the one world we would start to see little glimpses of throughout the first two seasons was the real world, and that we would get there eventually — and when we did, it would be a whole new experience.